After all of the Halloween costume crafting (Rey and BB8 from Star Wars) and coordinating shirt sewing, I am enjoying a very simple knitting project. It's a straightforward, rolled-brim, no fuss, super basic beanie. I'll share the pattern with you when I'm finished. 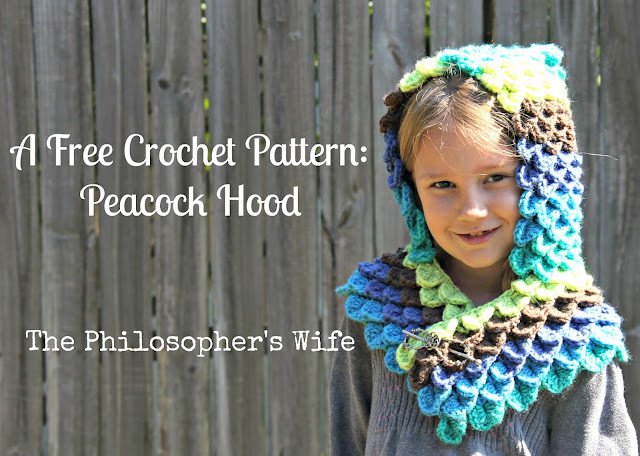 I also finally published my free Peacock Hood Crochet Pattern! I really love the way that this hood turned out. I used the incredibly popular Caron Cakes, and I think the color changes really work for this project, but of course you could use any similar weight yarn. 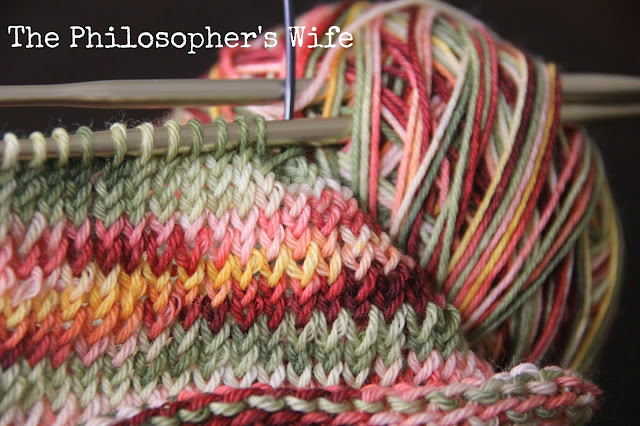 Don't forget to link up your own yarn-y projects at the weekly Yarn Fanatic Party! This week's can be found here. 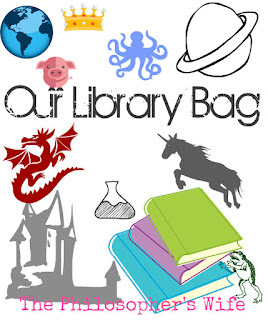 A Place for Zero: Catherine loved Fractions in Disguise so much that I immediately checked the library to see how many of the Math Adventure books they had. Sadly, there aren't many, but I put holds on all that I could, of course. 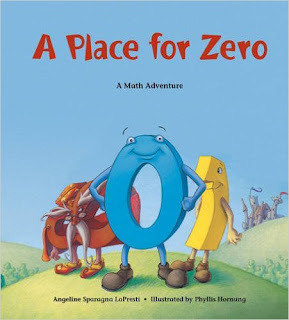 Personally, I'd say A Place for Zero is rather weak compared to the fractions book, but it was still a good book. 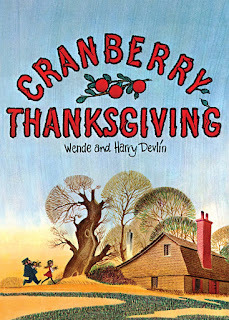 Cranberry Thanksgiving: Now that it's November I have a giant stack of Thanksgiving themed books. There is just something about this sweet story of a Grandmother, a Granddaughter, a bad guy, a scruffy hero, and delicious cranberry bread that exudes "Thanksgiving" to me. Catherine says that she just loves this story. I finished The Mysterious Benedict Society. I'd say it was just shy of being a great book. I am now reading Hearts in Atlantis. (My first King! It feels like a milestone.) I also have been reading a few fluffy books not worth mentioning, because sometimes we all need a little fluff. Ok, I'll mention one of them: First Love. Spoiler alert. It's basically another Walk to Remember, but with way more grand theft auto and way less character development. I'd give it a D+ and yet it still brought me to tears. 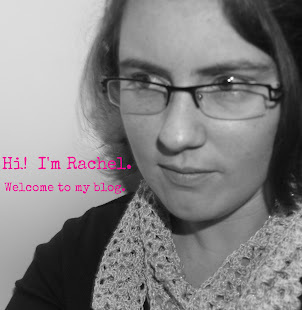 Linking up with Small Things, Frontier Dreams, and A Gentle Mother. 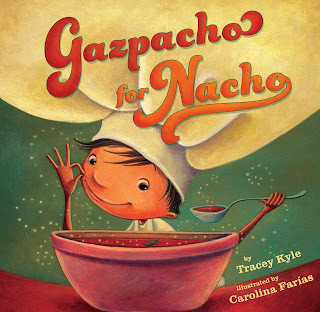 Gazpacho for Nacho sounds like something my kiddos would love! We'll try to find it next time! 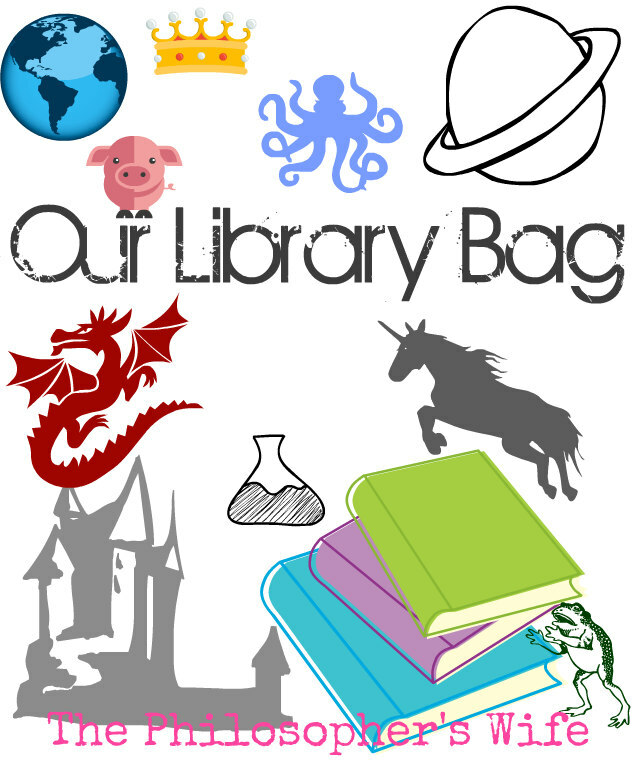 Great book ideas! Thanks for sharing! All of these look great! Adding the math book to our list. I'm in line waiting for Cranberry Thanksgiving at the library. Thanks for sharing! 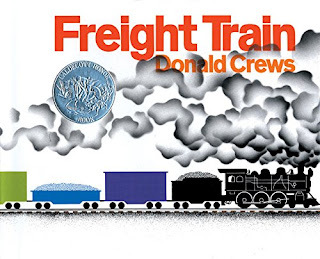 I'll have to look for that Freight Trains book for my grandson who LOVES trains! Thank you for linking up at our Home Matters Party! That peacock hood sure is cute! Just wish I knew how to crochet!